The reason for using a longer Arca-Swiss® compatible lens plate on a telephoto collar foot, becomes apparent when someone wants to utilize extra equipment like a tele and/or macro flash bracket. Even more, a heavy long telephoto lens when attached to a lighter camera may be balanced more accurately on a head, with the help of a longer lens plate. Therefore there are some prerequisites for such a longer lens plate. b. Must be of a double dovetail design. b. Have extra holes in order that different manufacturer flash brackets can be attached. So after a little search in eBay, I came up with the very reasonably priced Kiwi Fotos LP-100 lens plate. 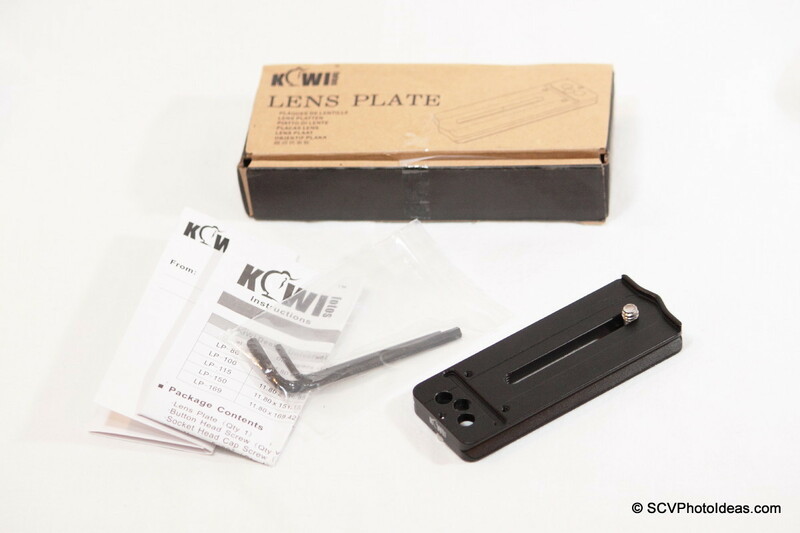 Kiwi Fotos LP-100 lens plate comes boxed with an attachment/compatibility instructions leaflet, a warranty card, One 1/4"-20 captive screw, Two M3 stop screws and the relevant Allen Hex keys for the 1/4" and the M3 screws. Top view showing clearly the anti-twist ridge on one side and one groove and 3 holes on the other side for the attachment of Accessories. Bottom view showing the M3 stop screws at both ends, the captive slot and two extra M3 tapped holes which function for securing accessories. 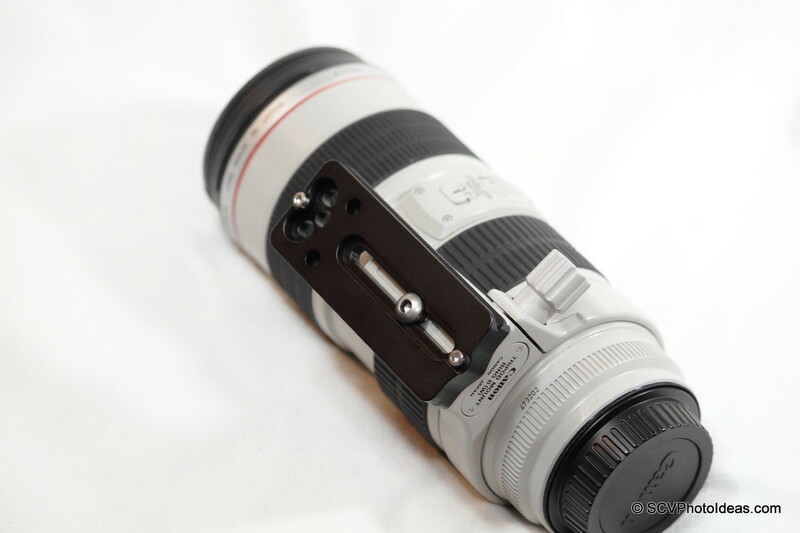 Here, the lens plate is attached securely on the tripod collar foot of a Canon 70-200mm f2.8 L IS USM telephoto lens. 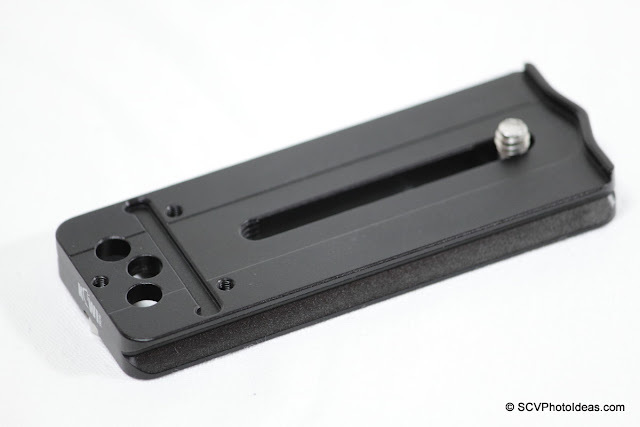 The lens plate is attached by an 1/4"-20 captive screw on the lens collar foot with the anti-twist ridge placed flash to the back side of the foot. Side view showing the length difference between the lens foot and the lens plate. 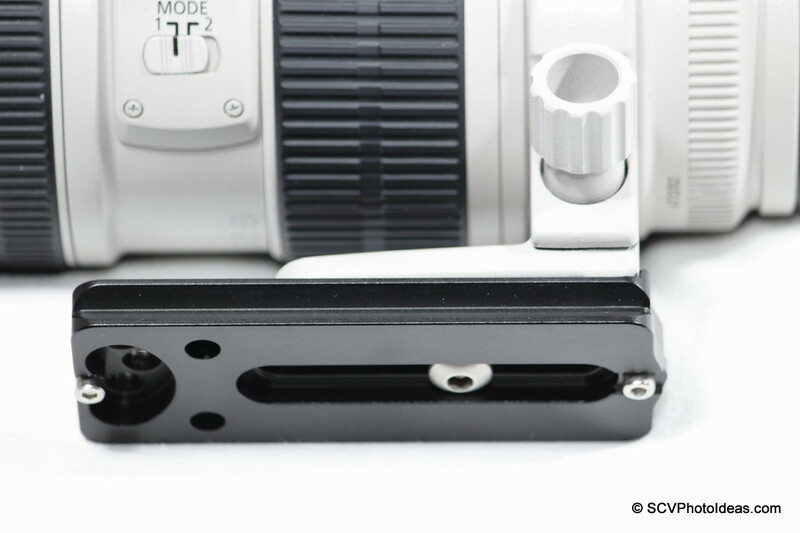 Looking closer, we can see that there is enough headroom in front of the lens foot for attaching extra equipment like a flash bracket. 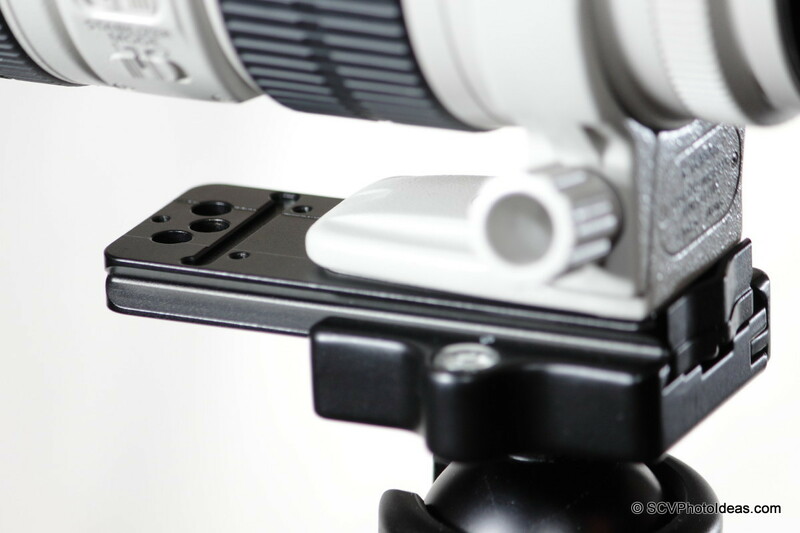 Finally the lens attached via the lens plate on an Arca-Swiss® compatible Quick release Clamp, thus permitting fast mounting/dismounting but also adequate space for camera/lens balancing. 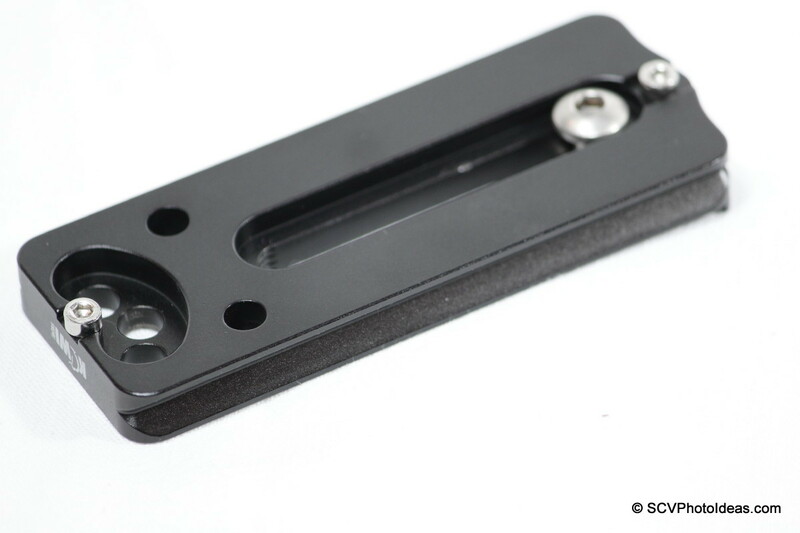 In the last photo we can see that, not only there is plenty of room to mount a flash bracket on the top dovetail in front of the collar foot, but also enough lens plate length to balance accurately the camera/lens combination by moving the plate back-forth in the quick release clamp. 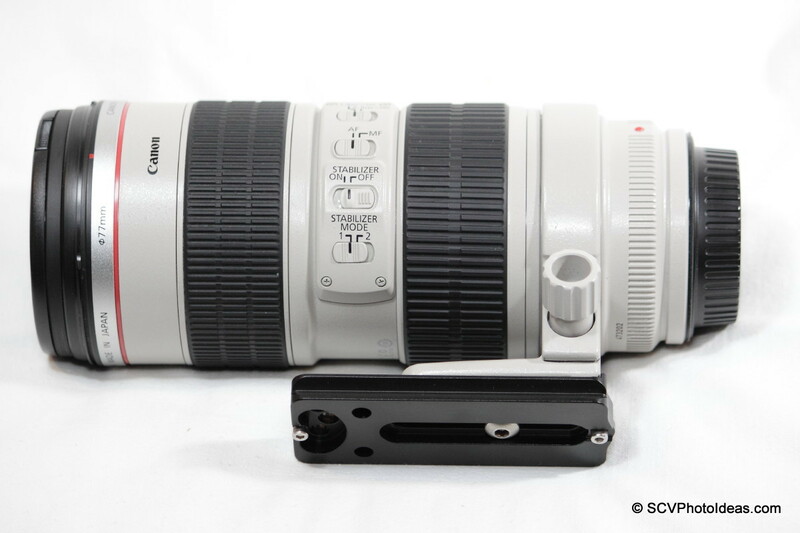 For example a Gripped Canon 50D, 7D, 5DII or a Canon 1D Series camera (all around 1,3kg) when combined with an 70-200 f2.8 L IS USM, an 100-400 L IS USM or even a 400 f5.6 L USM balances perfectly on the lens collar foot. Otherwise with a lower weight camera the camera/lens combination has to be pulled backwards in order to balance on a head. 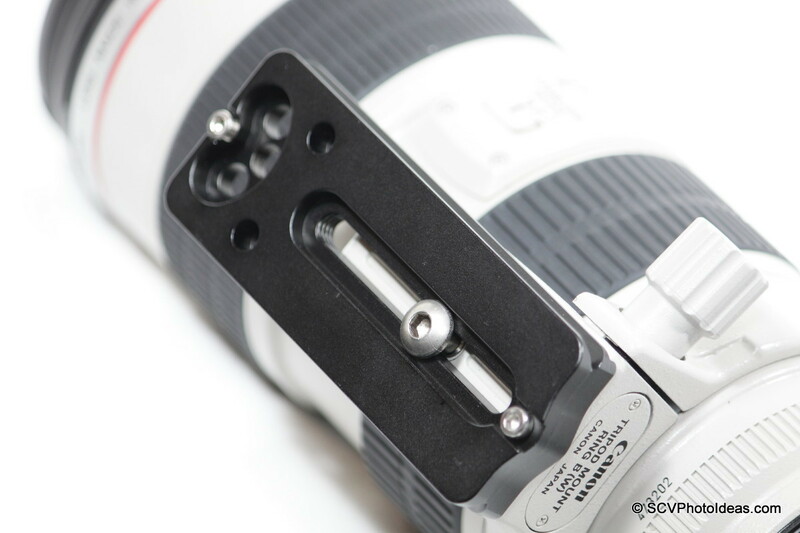 In the referenced articles bellow you may find detailed information how a Telephoto flash bracket can be attached on the lens plate with minimum effort.